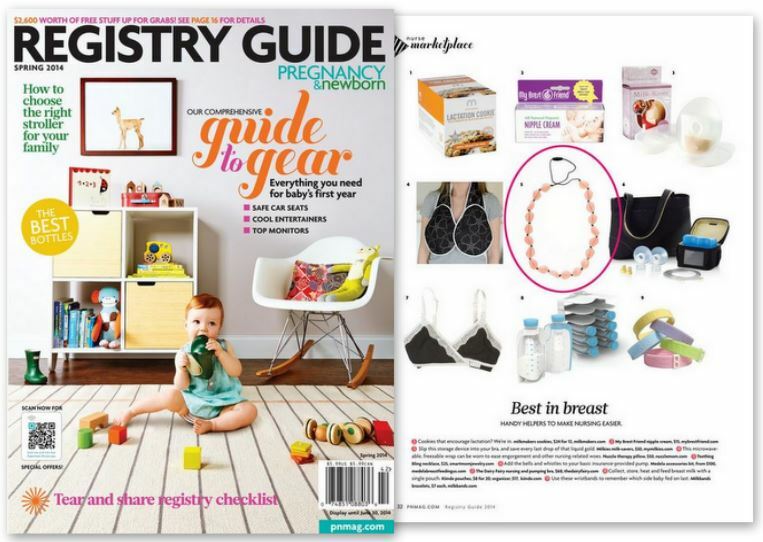 Congratulations to our Client Teething Bling for their feature in the Pregnancy and Newborn Registry Guide! Teething Bling is â€˜teethableâ€™ jewelry for Moms, Aunts, Grandmas and other CaregiversÂ to wear to soothe and entertain babies with emerging teeth. If youâ€™ve ever held a baby, you know how much they love to grab and chew.Â When your little one is reaching for everything in sight, itâ€™s great to have a handy product that will safely satisfy their curiosity.Â And if Mom can look stylish in the process, all the better!